Prepare macaroni and cheese according to package instructions. While macaroni is cooking, preheat the oven to 375°F. 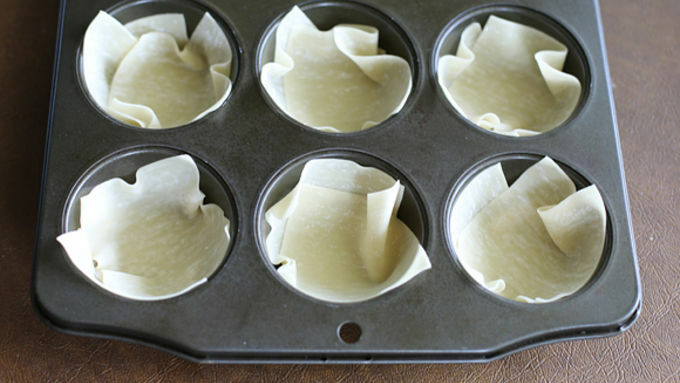 Place two wonton wrappers into each muffin tin overlapping slightly to create a cup. 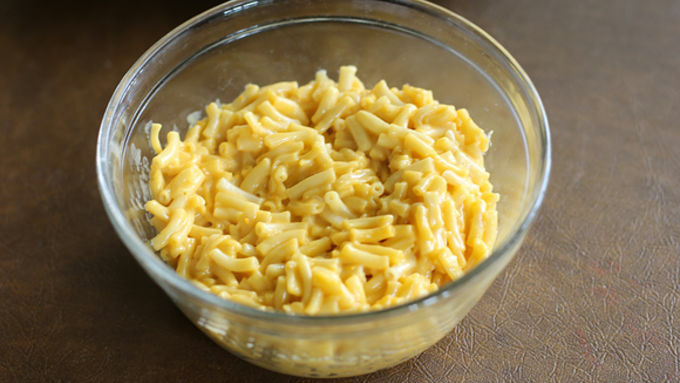 Once the macaroni is prepared, place it in a medium bowl. Add the chicken and Buffalo sauce and mix together. Spoon mixture into the wonton wrappers evenly. Bake for 12-14 minutes. Remove from the oven and sprinkle with blue cheese crumbles and return to the oven for 2-3 minutes or until melted. Remove cupcakes from the oven and let them cool in the pan for a couple of minutes. This will help them maintain their shape. Remove cupcakes and add sliced celery if desired. 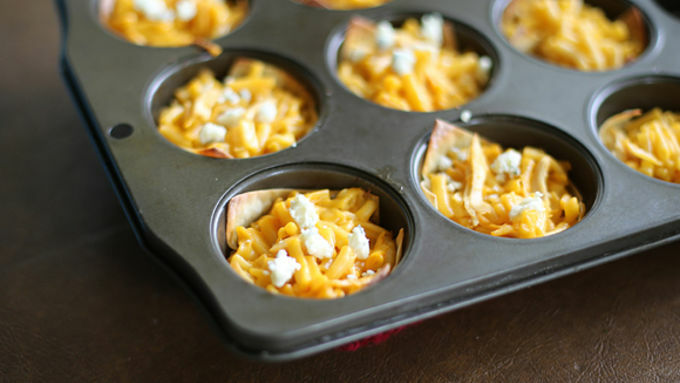 Attention Buffalo chicken lovers: these Buffalo Chicken Mac 'n Cheese Cupcakes are just for you! 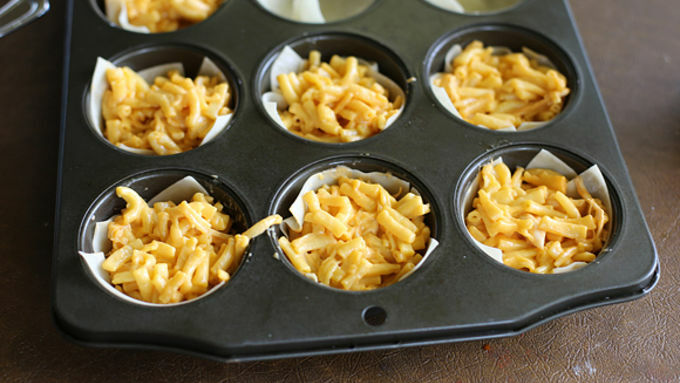 I had a lot of fun creating these Buffalo Chicken Mac n' Cheese Cupcakes. Buffalo flavored anything is always welcome in my home so getting to mix Buffalo flavor with macaroni and cheese was a hit just waiting to be created. If this is your first introduction to savory cupcakes, wonton wrappers are the perfect quick cooking ingredient to hold your favorite filling. I only added two tablespoons of Buffalo sauce, which gave it a healthy kick but if you like it hotter, by all means go for it! If you're a hard-core Buffalo lover you can add some blue cheese sprinkles to the top -- as much or as little as you want. Add some sliced celery for some freshness and crunch. 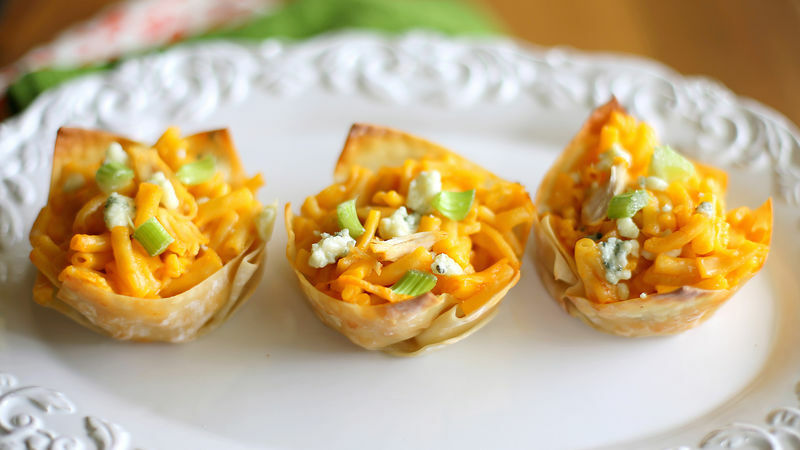 Whether you serve these as an appetizer or the main meal, Buffalo lovers will love these!